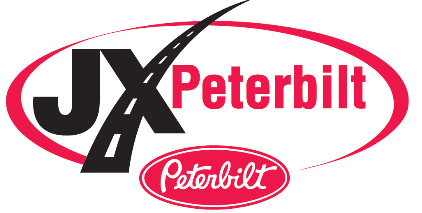 JX Peterbilt – Green Bay is a full service Peterbilt truck dealership in Green Bay, Wisconsin. JX Enterprises operates JX Peterbilt and JX Truck Center, a full service network of thirteen heavy and medium-duty Peterbilt truck and Kalmar yard tractor dealerships in Wisconsin, Illinois, Indiana and Michigan. Immediately, Connelly noticed an improvement in accuracy. He is now receiving parts with 99% accuracy, with the 1% error being human error. Previously, human error had been at 8-10%. The shipment of parts just arrived. In the cases are parts needed to complete existing work orders and parts that will be sold to customers. Each member of the team is eager to get their hands on the parts they need. The parts represent revenue for the shop, so they need to be out and available almost immediately. But they can’t be and there really isn’t anything anyone can do about it. You see, those parts still have to be put through a lengthy, burdensome receiving process before they can be used. Each part has to be counted against the packing list and the original order manually. That takes time and each second spent manually receiving those parts is a second that they aren’t being used on a vehicle in the shop or being sold to potential customers. On top of that, there is the worry that errors are being made. Human error is inevitable when doing anything manually and when you are feeling pressure to hurry, it becomes even more of an issue. Worse yet, many of those errors won’t be caught until it is time to run inventory and by then, it might be too late. For many of you, this scenario is all too real. For parts manager Robert Connelly of JX Peterbilt – Green Bay, that scenario was often a reality, but it’s not anymore. A couple of years ago, Connelly was part of a parts focus group put together by Karmak. At the time, Karmak was looking for a company to partner with to try out bar code receiving technology. Seeing the potential in that technology, the team at JX Peterbilt – Green Bay jumped at the chance to give it a try. Whenever you are implementing a new process, downtime and slowed productivity are always concerns, but those weren’t issues in this case. Both Karmak and PACCAR had representatives at Connelly’s location to help with implementation for the better part of a week. The transition was seamless and the team at JX Peterbilt – Green Bay was able to hit the ground running. That may not sound like a big deal, but to put that into proper perspective, think about your bank. Would you continue to do business with your bank if they deposited your paycheck into the wrong account 8% of the time? Or if they charged your account twice for purchases 10% of the time? Errors will still happen, but with electronic receiving, Connelly is able to catch the errors more quickly and fix them before they become bigger issues down the line. An even better example might be your very own service shop. If technicians are making errors 8 to 10 percent of the time, that shop is going to struggle to keep customers and ultimately will struggle to stay open. Connelly’s shop now also has access to their parts more quickly. Without having to go through the manual process, the guys that are receiving these shipments can get the parts onto vehicles onto the shelves and into the will call bin for pickup in a timely manner. Plus, the technology will automatically notify the customer that their part is in if they had ordered it through the shop. For customers, that’s a huge improvement over waiting for a phone call or driving up to the shop to check on it. JX Peterbilt has been running bar code receiving for a couple of years now and it has only gotten better. Connelly would like to expand the system to other processes. “This latest update has been great. I’d like to see 70% of our stuff go to point of sale scan,” Connelly said. It’s safe to say that JX Peterbilt – Green Bay is seeing results thanks to the decision to embrace bar code receiving. But the success of the system is due to more than just the technology. Connelly is quick to admit that he has the right people in place and that he has gotten the right amount of buy-in. Receiving parts orders can be a difficult job that takes up time, slows production and requires much effort from everyone involved. But now, you shouldn’t have to go through all that. The improvements that JX Peterbilt – Green Bay have made since moving to barcode receiving speak for themselves. If you are looking to improve the speed and accuracy of receiving your parts orders, just like they were a couple of years ago, this is something you can’t afford not to do.